I've not managed to blog for quite a while so here are some updates for you. Cloverleaf Canine Centre is getting quite big and well known now, which is great. I've been working alongside Tresham College, the Job Centre and the local MP Andy Sawford's office to give some people work experience. There's been a mixture of tasks from looking after the day care dogs to playing with the IT. Joe and Joe have also set up a Cloverleaf youtube channel www.youtube.com/user/cloverleafk9 videos include training as well as more light-hearted subjects. The next 6 week training course starts in January but until then you can enjoy Monday night fun from 25th November through December there'll be a free trick training sessions, including teaching your dog to read and possibly paint. Don't forget to find Cloverleaf on G+ as well as Facebook. Good Dog Training School also has a Facebook page and there is the Corby Dogs Chat group too. I have a new puppy! 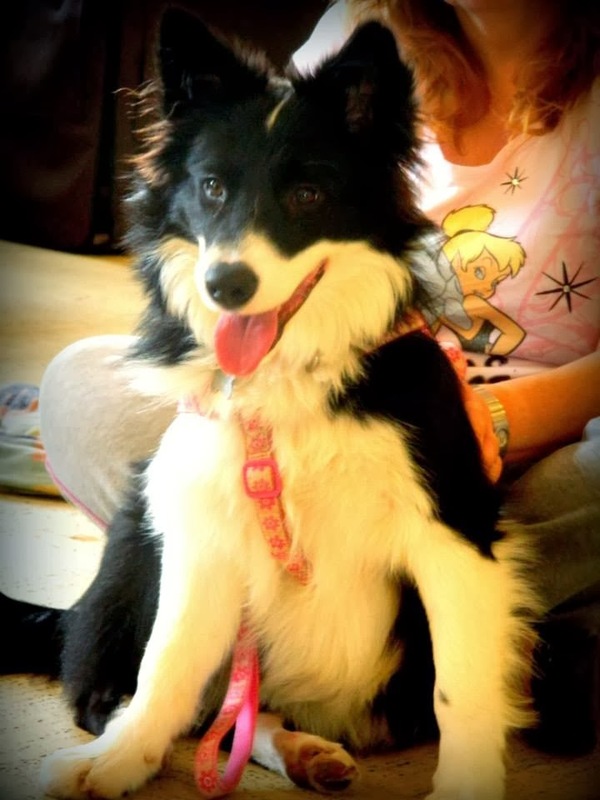 Faie is a Border Collie and is now about 9months old. She was gifted to me by Helen Bloore of Skyspirit Border Collies. An absolute beauty Faie loves balls and is getting great at UKRally. Look out for us at Crufts in 2015 as that's the aim.